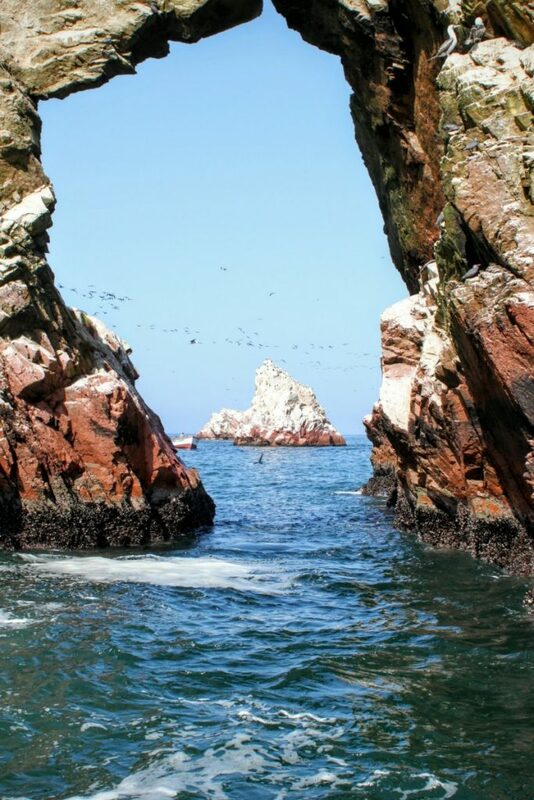 After a failed start due to poor tides, our trip to the Ballestas Islands left the following morning. It’s quite a feat of coordination; our company had 8 passengers, another company had 6, another had just 2 that day. 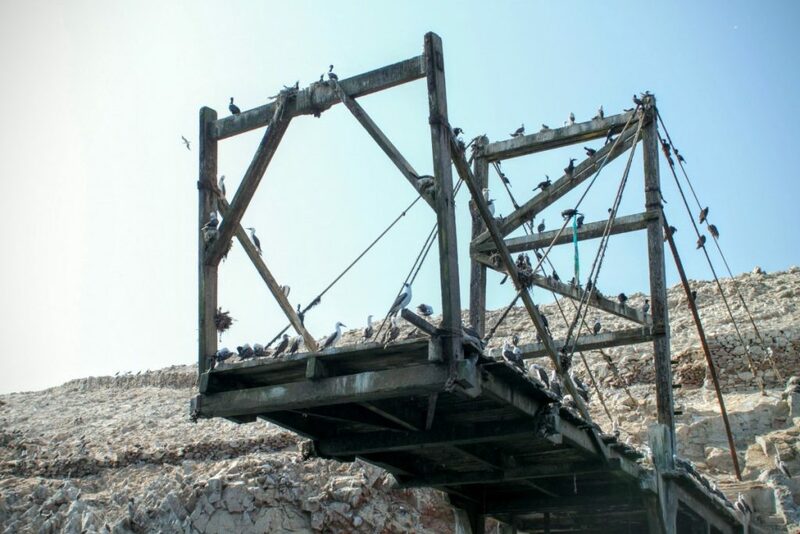 There we were, on the Paracas promenade being placed into boat sized groups, along with hundreds of other tourists. 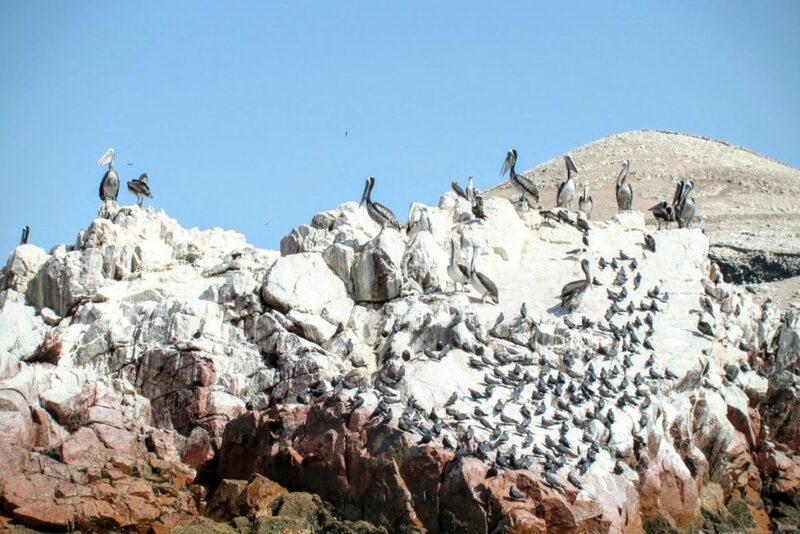 The Islas Ballestas are also known as “the poor man’s Galapagos”. I don’t think of that as an insult towards the Peruvian islands, but more an acknowledgement of how expensive a Galapagos trip is. 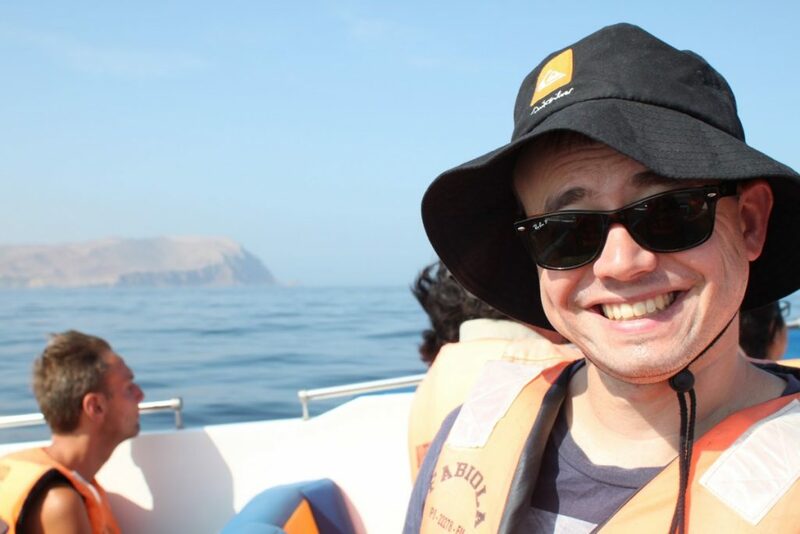 The Ballestas Islands are more accessible. 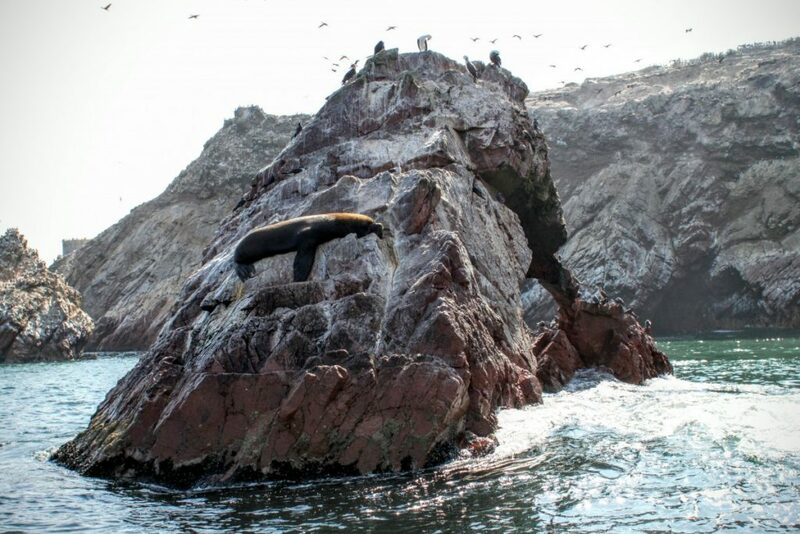 They are a part of the Paracas National Park, a few kilometres out from the dock at Paracas. Part of the national reserve, the islands are home to an incredible range of bird and marine life. Tours leave at 8 or 11, but apparently the water is calmer in the early morning. You can go round to different tour operators and just find the one who offers the best price. 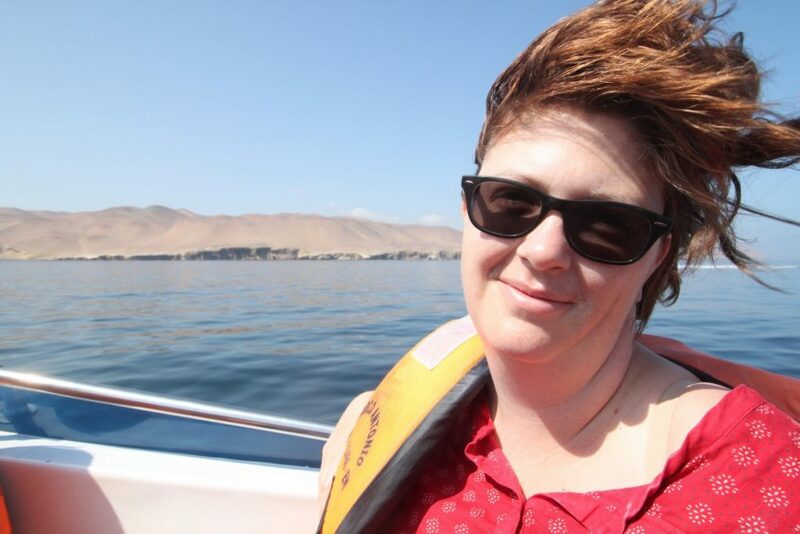 The tours are all exactly the same, in fact most pool customers to fill up boats, which is why we were being herded like sheep on the Paracas jetty. 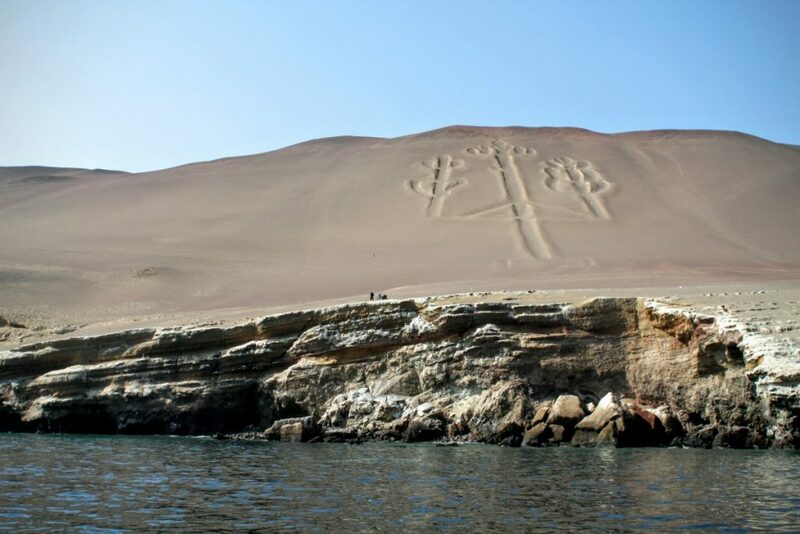 The boats hug the coast on the way out, and stop for a view of the candelabra, a petroglyph carved into the dunes. For this reason most guide books tell you to grab a seat on the left of the boat, but I have another option: stand up! From there the boat heads out away from the coast towards the islands. You know you’re getting close from the massive increase in bird activity. I first noticed something floating in the water, (a swimmer this far out?) then when it dived and didn’t resurface, I had an idea of what it had been. 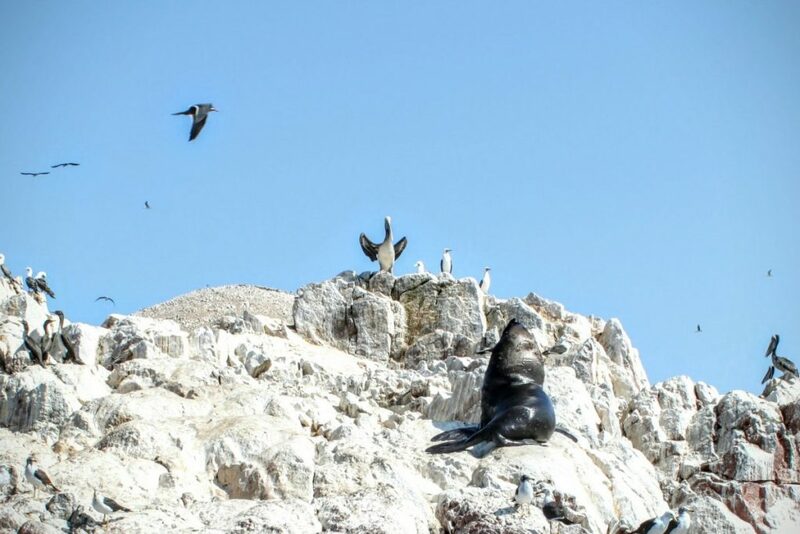 The islands are filled with sea lions, not just the flat beaches, but climbing up cliffs too; deceptively nimble creatures. There are also seals curiously poking their heads out of the water. 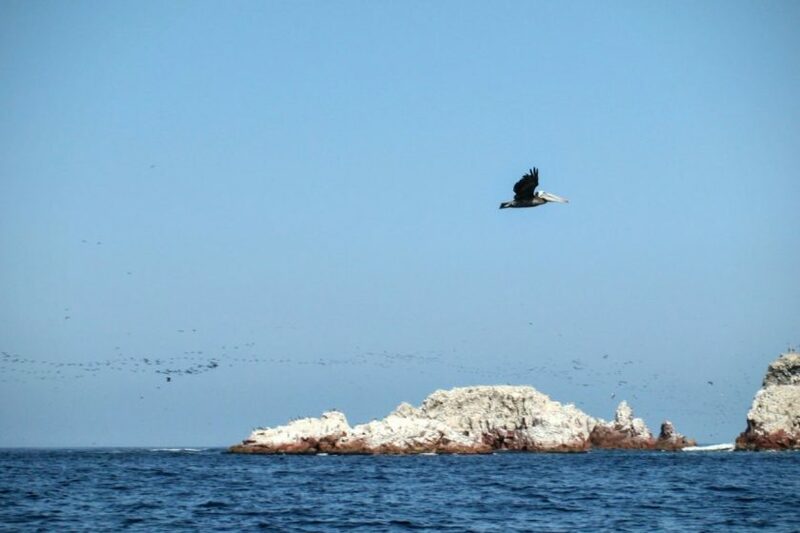 Up higher, a variety of birds use the isolated islands as breeding grounds. Dolphins chased the boats as they wound their way around the islands. 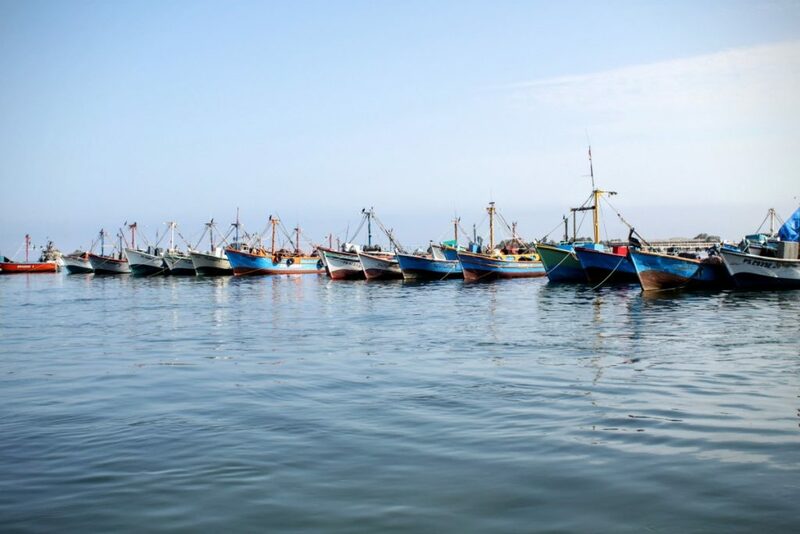 After having a good look around the island the boats head back to Paracas, just in time for a ceviche lunch. Oh I enjoyed this one!! Looks amazing! Can’t believe you didn’t vomit renee!! Cudos to you!! Well, I skipped both dinner the night before and breakfast that morning, as well as taking anti – nausea meds. The fact that it was postponed from the previous day, meant that I did that two days in a row.